NSW Nationals Member for Cootamundra Steph Cooke has officially opened the new Harden Ambulance Station, which has been supporting paramedics in doing their lifesaving work efficiently for the past year. 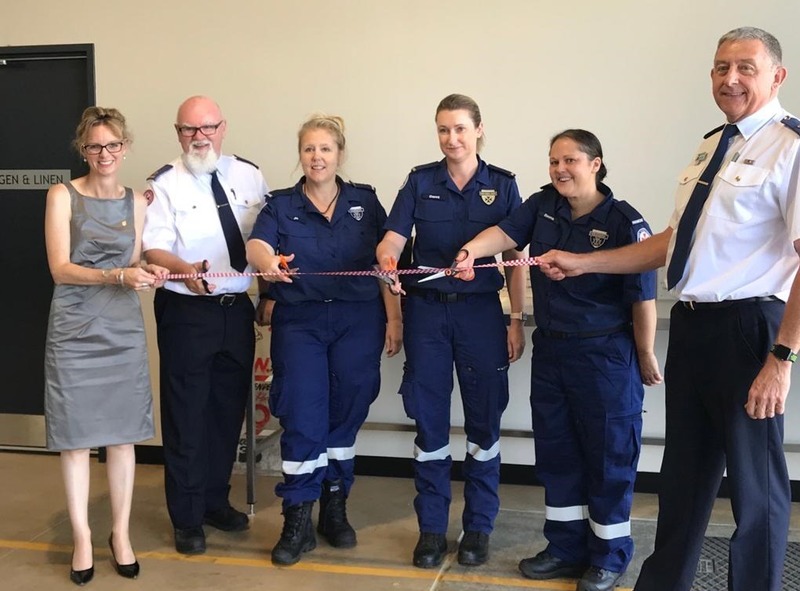 Ms Cooke joined Mark Gibbs, Deputy Director of Clinical Operations, Southern Sector, NSW Ambulance, local paramedics and Hilltops Council to officially cut the ribbon at the new facility. Ms Cooke said that since the station’s commencement of operations, it has been pivotal in the provision of high-quality medical emergency care to the Harden region. The team at Harden ambulance station have responded to more than 876 incidents and transported more than 598 patients from the new station. Delivered as part of the Nationals in Government’s $122 million Rural Ambulance Infrastructure Reconfiguration (RAIR) program, the Harden Ambulance Station became operational on November 6, 2017. Local paramedics were involved in designing the station to develop a fit-for-purpose facility that will better serve the needs of the community. The completion of this project is a crucial step in the ongoing delivery of high quality mobile emergency care to Harden and surrounding communities. The RAIR program includes 23 locations across NSW, which will benefit from an upgraded, rebuilt or entirely new NSW Ambulance station. Paramedics are now operating from new and upgraded stations delivered under the program at Ardlethan, Harden and Coolamon. The Nationals in Government’s Budget announcement in June included a record investment in NSW Ambulance of more than $1 billion for 2018-19 and an unprecedented boost of 700 additional paramedics and 50 call centre staff over the next four years.